by Buddhima W. Wickramasinghe, Via Creative Commons. SeaShell News, 3-17-15, Sea Urchin, Shelling, Sanibel. “Sea urchins or urchins (/ˈərtʃɪnz/), archaically called sea hedgehogs, are small, spiny, globular animals that, with their close kin, such as sand dollars, constitute the class Echinoidea of the echinoderm phylum. 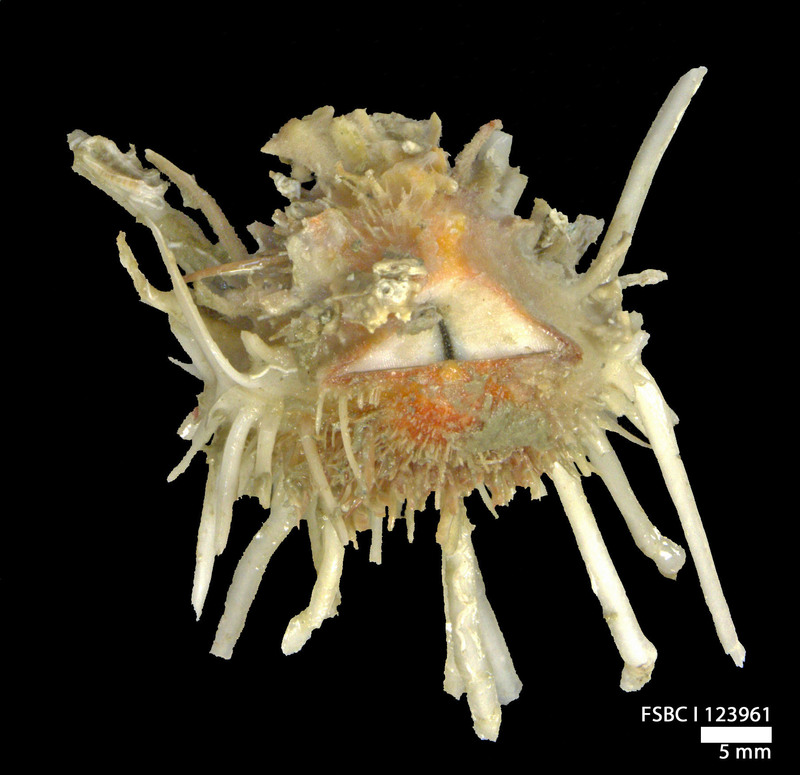 About 950 species of echinoids inhabit all oceans from the intertidal to 5000 m deep. The shell, or “test”, of sea urchins is round and spiny, typically from 3 to 10 cm (1.2 to 3.9 in) across. Common colors include black and dull shades of green, olive, brown, purple, blue, and red. Sea urchins move slowly, and feed on mostly algae. 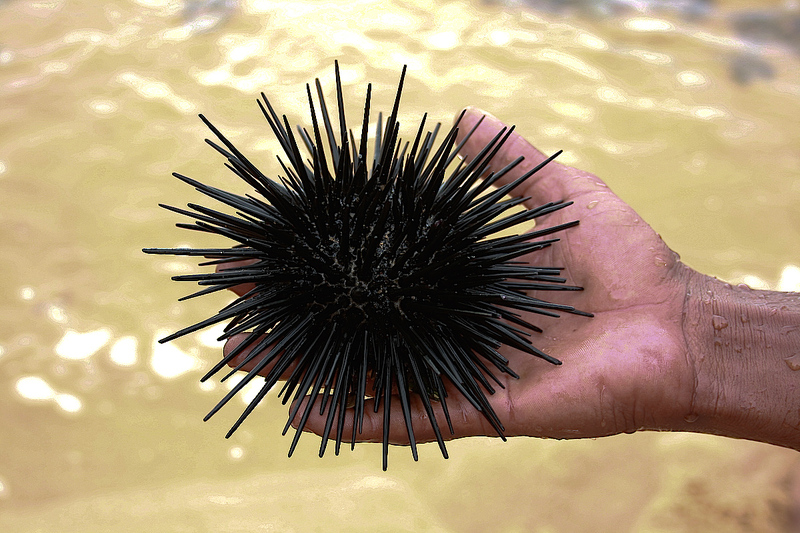 Sea otters, starfish, wolf eels, triggerfish, and other predators hunt and feed on sea urchins. Their roe is a delicacy in many cuisines. The name “urchin” is an old word for hedgehog, which sea urchins resemble. Sea urchins can be found in all climates, from the warmest seas to the freezing polar seas (like the polar sea urchin Sterechinus neumayeri). They adapt their diet to their environment : in rich ecosystems they feed mainly on algae, that allow a quick growth ; at the contrary in less rich bottoms they adopt a slower metabolism, adapted to a less calorific diet. The shingle urchin (Colobocentrotus atratus), which lives on exposed shorelines, is particularly resistant to wave action. It is one of the few sea urchin that can survive many hours outside from the water. Atlantic Deer Cowry By FWC Fish and Wildlife Research Institute, Via Creative Commons. SeaShell News, 3-16-15, Atlantic Deer Cowry, Shelling, Sanibel. “Macrocypraea cervus, common name the Atlantic deer cowry, is a species of large sea snail, a very large cowry, a marine gastropod mollusk in the family Cypraeidae, the cowries. This species is mainly distributed in the tropical Atlantic Ocean including the Caribbean Sea, and in the waters off South Carolina, Florida, Mexico, Brazil, Cuba and the Bermudas. 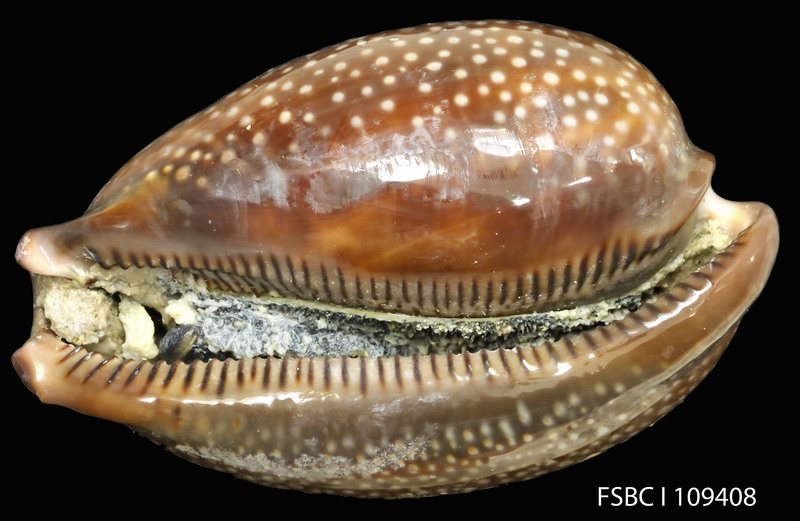 This species is one of the largest cowries. It is quite similar in shape and colour to Macrocypraea cervinetta, but it is much larger. The maximum recorded shell length is 190 millimetres (7.5 in), while minimum length is about 40 millimetres (1.6 in). SeaShell News, 3-10-15, Vermicularia, Worm Snail Shell, By James, Via Creative Commons. SeaShell News, 3-10-15, Worm Shell, Shelling, Sanibel Island. Vermicularia knorrii, common name Florida worm snail, is a species of sea snail, a marine gastropod mollusk in the family Turritellidae. Vermicularia knorrii has a shell that reaches a length or 20 – 80 mm. 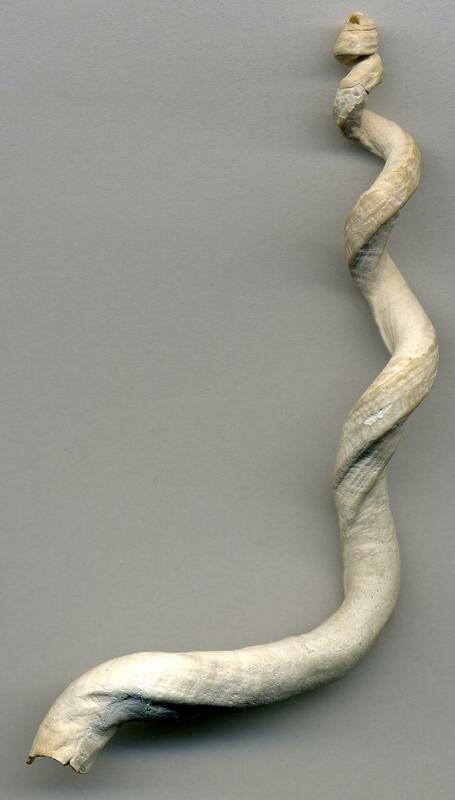 The apex of this shell is pure white and translucent, while the later whorls turn to pale brown and shows prominent spiral cords. When it grows the shell becomes loosely and irregular coiled and the whorls do not touch each other any more. This species can be found in Caribbean Sea and in Gulf of Mexico (especially in Yucatan, Florida, Bermuda, Cuba,Jamaica and Puerto Rico). SeaShell News, Shell Or Angel’s Wings By Darijus Strasunskas, Via Creative Commons. SeaShell News, 3-6-15, Angel Wings, Shelling, Sanibel Island. 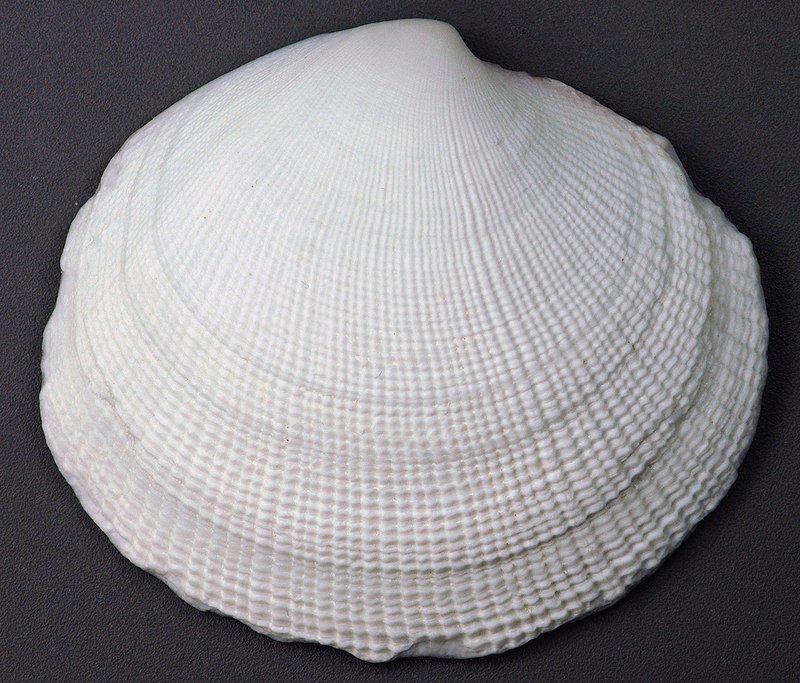 “Pholadidae, known as piddocks or angel wings, are a family of bivalve mollusc similar to a clam; however, they are unique in that each side of their shells is divided into 2 or 3 separate sections. 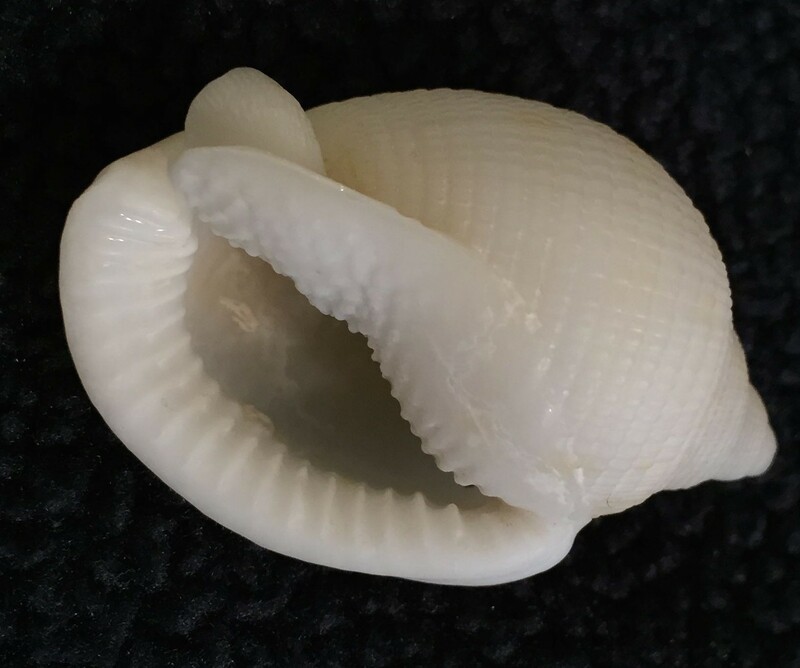 Furthermore, one of the piddock’s shells has a set of ridges or “teeth”, which they use to grind away at clay or soft rock and create tubular burrows. The shape of these burrows is due to the rotating motion of the piddock as it grinds the rock to make its home. The piddock stays in the burrow it digs for the entirety of its eight-year lifespan, with only its siphon exposed to take in water that it filters for food. When the piddock dies and leaves an empty tubular burrow, other marine life such as sea anemone, crabs and other molluscs may use the burrow. Some species of Pholadidae may reach up to 18 cm (7″). 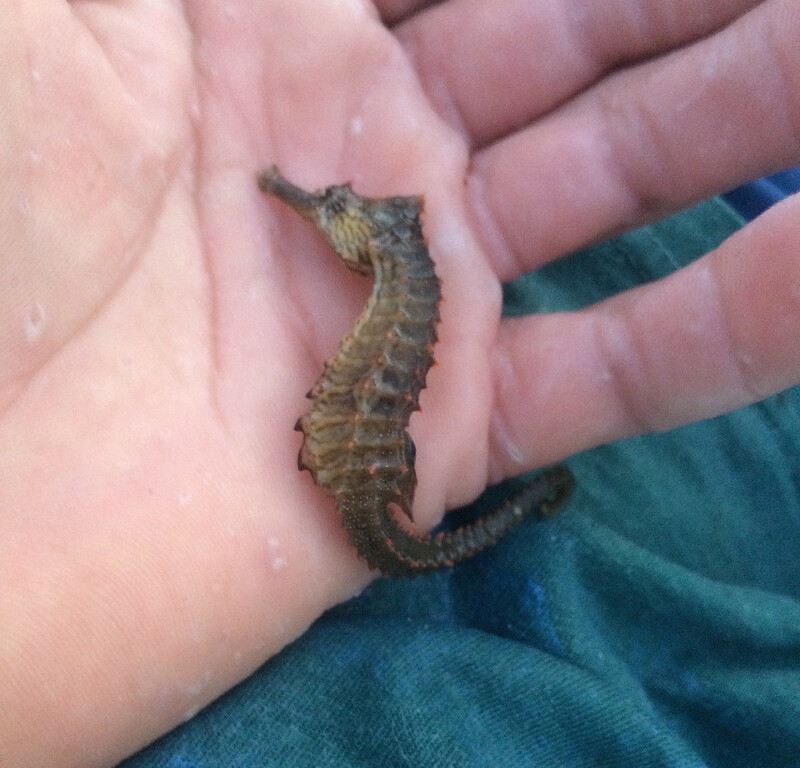 Their coloration is typically white, though through consumption of red tide algae some may develop a pink coloration. The angelwing species Cyrtopleura costata has approximately 26 radiating ribs. Growth lines run horizontally over the surface of the shell. Angelwings have a spoon-shaped brace under the beak of the shell, called the apophysis, where the mollusc’s foot muscles are attached. Cyrtopleura costatapossesses long siphons which protrude from its burrow and circulate water as the source for its food supply. It cannot retract its siphons into the protection of its shell, so the two valves can never shut completely. The muscles fusing the shell’s valves together are weak, making it rare to find angelwings with both halves still intact. 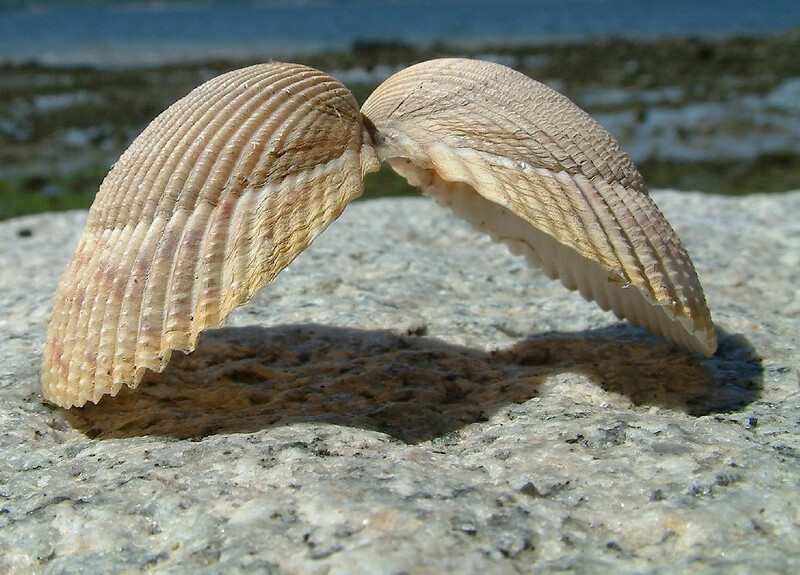 Some shell hunters dig for the living clam, and if dug up, the fragile shell must be placed immediately into a container of water or it will close and shatter. The angelwing’s shell is popular with collectors, as well as a delicious food staple. The angelwing lives offshore and in estuaries, sometimes as much as a metre (three feet) deep in the mud or clay. Seashell News, 3-1-15: Tons Of Shells On Bowman’s Beach, Sanibel Island, By Gregory Moine, Via Creative Commons. SeaShell News, 3-1-15, Bowman’s Beach, Sanibel Island. 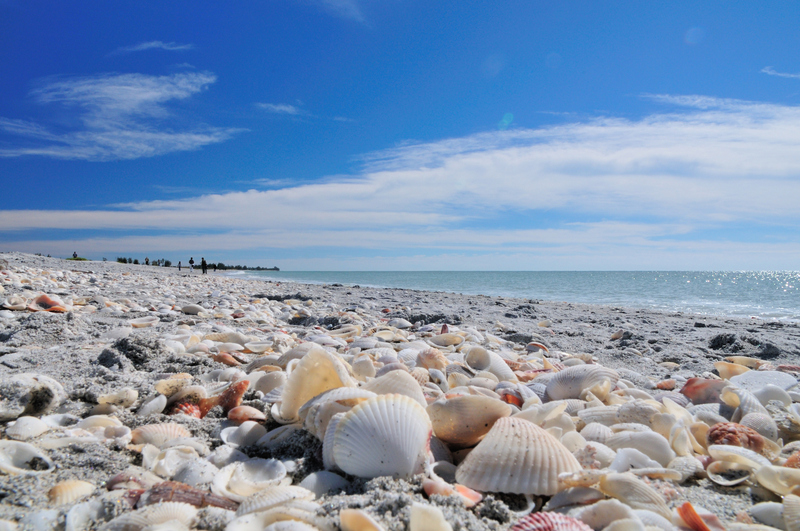 Bowman’s Beach is one of the premier shelling beaches on Sanibel Island. “Sea shell collecting is varied here although when a storm has recently passed by it is excellent. The removal of shells from this beach is prohibited when they house living creatures. The white sand on this beach is composed of fine pulverized quartz, which eroded from the Appalachian Mountains some 200 million years ago and was delivered to the Gulf by inland tributaries. Over time, wind and sea currents brought the material to its current location. Bowman’s Beach, Sanibel Island, FL, is on an island that is home to around 6,000 full time residents and 12,000 part time inhabitants. From the beach itself, there is no sign of said habitation as not a single building can be seen from the sands. Only palm trees serve as a backdrop here. The island where this beach is found has been rated to be among the ten best places in the U.S. for bird watching. A small trail can be hiked through the woods behind the beach that runs parallel to the shoreline. Albino Bonnet Seashell, 2-27-15, Sanibel Island, SeaShell News & Shelling. SeaShell News, 2-27-15, Albino Scotch Bonnet, Sanibel Island. Rough water and wind has made the shelling superb the last couple of days. “The Scotch bonnet (Semicassis granulata), also known as the ridged bonnet, is a medium-sized species of sea snail, a marine gastropod mollusk in the subfamily Cassinae. The common name alludes to the general outline and color of the shell, which vaguely resemble a Tam o’ Shanter, a traditional Scottish bonnet. This species is found primarily in the tropical and subtropical Western Atlantic Ocean, from North Carolina to Uruguay. It is the most common species in this subfamily in North America. 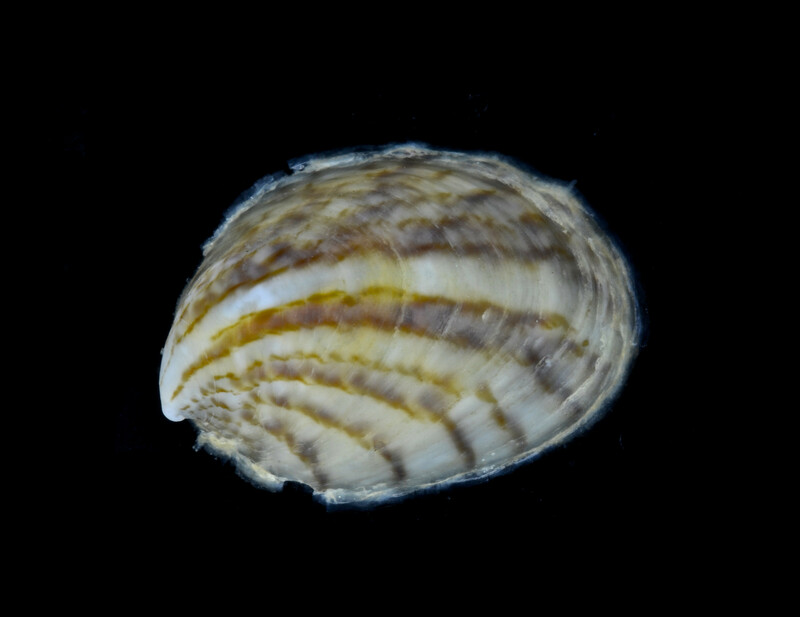 A similar-appearing sea snail in the Mediterranean Sea, Semicassis granulata undulata, has been considered a subspecies. These sea snails are predators; they search for their food on sandy stretches of the ocean floor, where they consume echinoderms such as sand dollars, sea biscuits, and other sea urchins. In 1965, the shell of this species was named a state symbol of North Carolina, making this the first state to designate an official state shell.” Source: Scotch Bonnet.